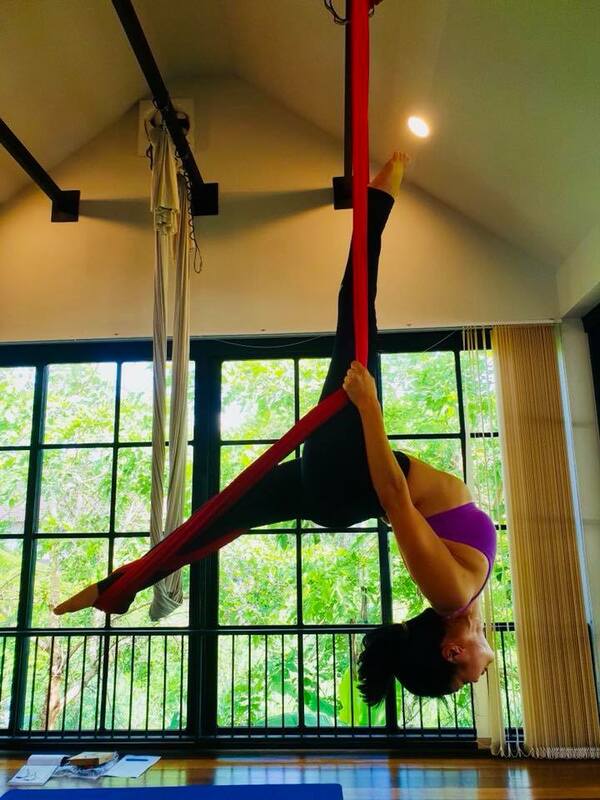 Yoga fly or Arial Yoga is a combination of many physical workouts like Pilates, acrobatics, dance, special arts, body weight and it applies yoga skill with the use of HAMMOCK. 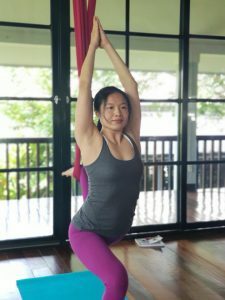 Hammock allows your body to hang against gravity and allows you to practice many yoga postures, which you might not be able to do on the ground or on the YOGA mat but it’s easier doing on the Hammock. The hammock also helps to do multiple and easy stretching of the body such as to open shoulders, hips and legs, and to stretch spinal column. It provides you a lot of core strengthens to help with posture correction as well. 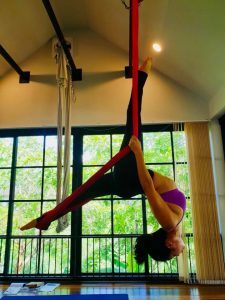 Practically, we cannot say that it is “Yoga” because it includes many workout and not easy to concentrate breathing during you practice the FLY. 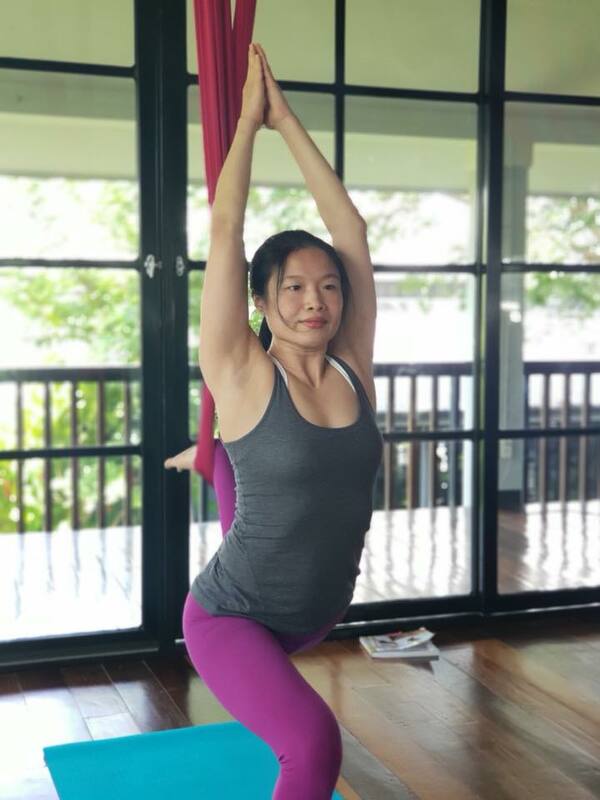 However, with us at the Yoga Ananda Chiang Mai, You will practice the Yoga Fly with all instructors who directly studied traditional YOGA at least 200 Hours in Teacher Training course. 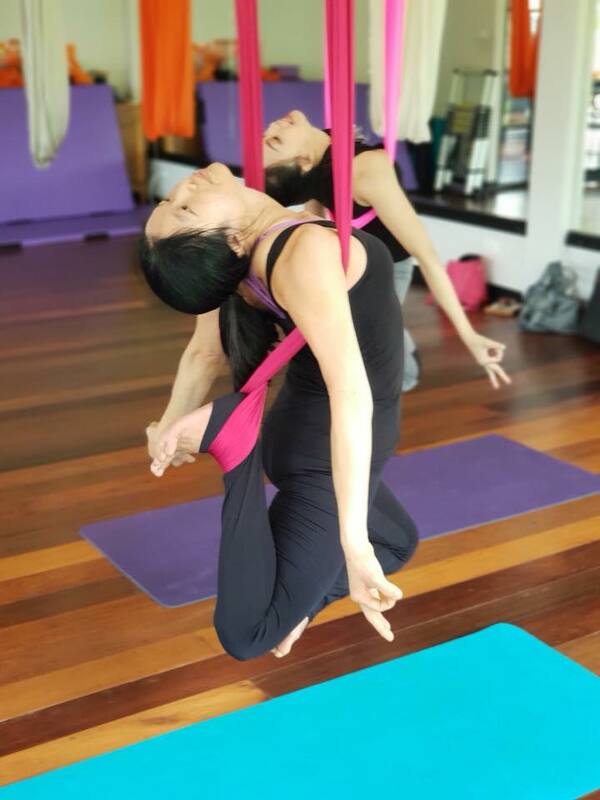 We will give you instruction as per YOGA science with Hammock along with breathing so you can feel that your practicing is safe, sound and you have fun. 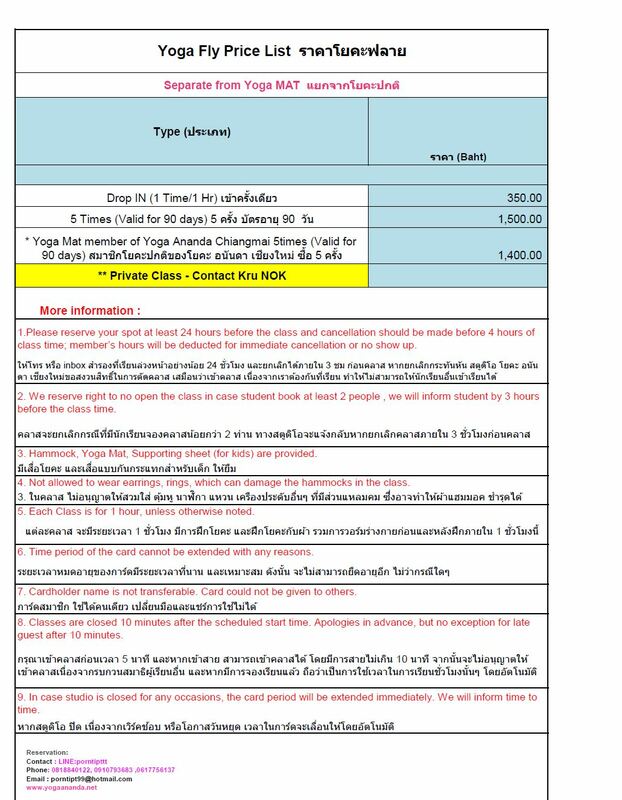 JOIN OUR “YOGA FLY” at “YOGA ANANDA CHIANGMAI – JING JAI MARKET ” branch. * Improves flexibility of many parts of the body. * Improves the core strength and stamina. * Improves the digestion and blood circulation. * Get to work on many part of the body as complete workout such as arm, back, shoulders, neck, legs and hips. * Improves metabolism and calories burn rate to help weight loss. * Provides better coordination between your body and mind during movement and its effect to nervous system work. Increases and improves your memory. * Helps with Anti-aging by inversion pose. 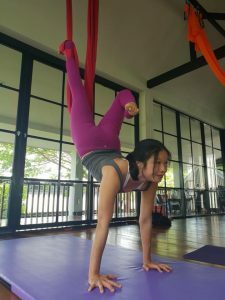 * Kids can do the YOGA fly in care of our instructors and have lots of benefit for the kids. * Helps to workout for over weight kids with fun process. * Improves immune system, bone generation system and blood circulation system. * Improves skill of communication and interaction between friends. * 3-6 months after surgery or operations.